The Grohe SilkMove® solid stainless steel cold water pot fillers are an ideal match for today’s professional – grade kitchens. 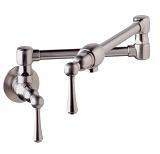 The pot filler designs compliment a variety of kitchen décor from traditional to contemporary. 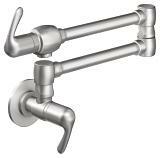 The dual pivot joint design of GROHE’s pot fillers extends 20+ inches for convenient use over front or rear burners, then folds neatly out of the way. No need to reach over hot burners to turn off the pot filler. 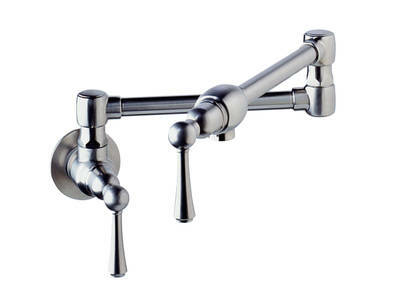 The two 1/4-turn lever handles, one at the source and one at the water outlet, provide safety and convenience.